Phones, ceiling fans, alarms, cameras wifi enable space heaters, you name it, it probably has a smart version. In fact, the forecast of the global smart home market is projected to nearly double from 24.1 billion in 2016 to 46.8 billion in 2021, that’s how fast the industry is growing. With the advent of devices such as Alexa, Google assistant amongst others, everything in your house is going to become even more connected. It is inevitable and resistance is probably futile. So the future is coming, what about the now? Well, if you are not aware, there are many full smart home systems available if you are looking for that whole home solution. For something a little less expensive and a little more personal for heating your room, though limited, there are options available. Space heaters are really in their infancy when it comes to WiFi connected devices. Not many brands have adopted this yet, and the ones that have seem to have lacked the polish to make the experience great. The Dyson Link Purifier is about as good as it gets, but this comes with a hefty price tag which may not be attractive for all buyers. With that said lets look at what’s available. Wall Mount or space heater for rooms 750sq ft or more! This INFRARED heater is also a modern looking smart option given its ability to be used on the wall or on the floor. 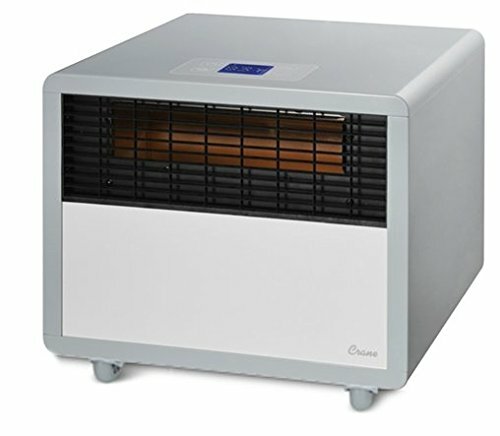 Heats a good size room or even a RV. A stylish heater for the modern home! A good choice for a room 200sqft or under the Mill Ab-H1500WF is an OIL FILLED Wifi Enabled option for your home. Everyone knows Dyson products are expensive. But when looking at WiFi enabled heaters, given the lask of options and often quality this product is still probably one of your best bets despite the fact it is not a dedicated heater. For some that may be good, others perhaps not. This is a small but useful wee heater. Definitely wont heat large rooms, but you are able to take this stylish wee thing wherever you go. It is Alexa enabled. Has good safety features with a thermostat function. Tower heater shape. A CERAMIC heating option for your home. It has a modern design with 3 speed settings but probably needs a bit more development work on it. An INFRARED heater option from Crane. To be fair, though there are not a lot of WiFi heaters available and this is one of few, we have a hard time recommending this due to its poor app. WiFi Enabled Space Heater – What are the best options? 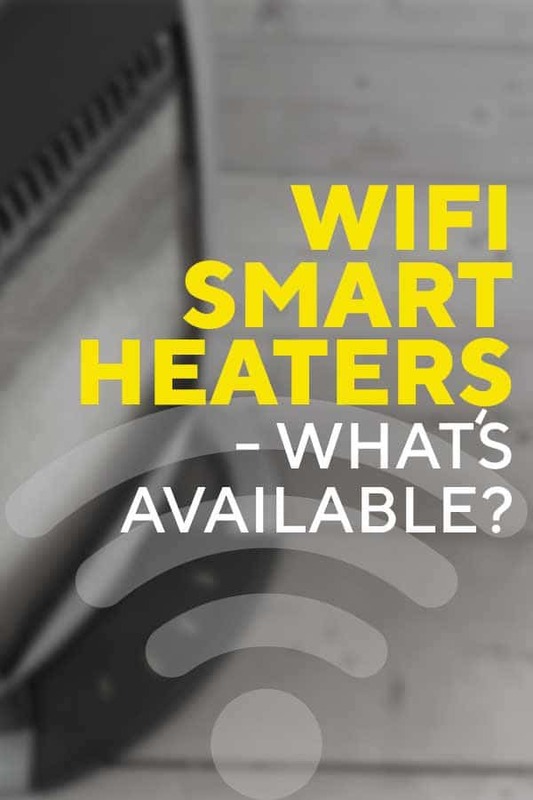 When it comes to WiFi or smart heaters there are a number of options available. A new addition to the Wifi heater range is the Mill 1,500-Watt Electric Oil Heater. Mill are not new to the Wifi game with other wifi heaters available which we cover below. This particular unit is an oil filled radiant heater and compare to many other heaters, is actually a very stylish and modern heater. It comes with important safety mechanisms such as a tip over switch and overheat protection as well as being backed by a nice 2-year warranty. With the Mill app you are able to set weekly schedules for specific rooms or just program the unit individually. The app gives you large amounts of flexibility and also the ability to better manage your power consumption. The heater is recommended for rooms up to 200ft. 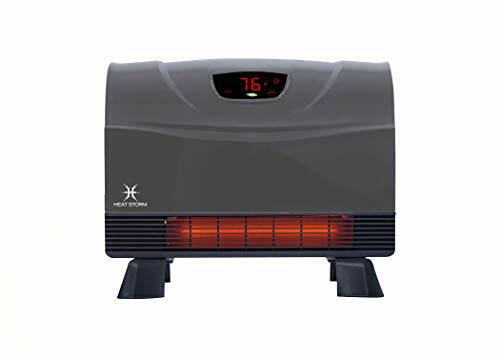 The Heat Strom Phoenix is a versatile heater in that it can be mounted to your wall or it can be used as a space heater with the supplied leg attachments. and it is nice that some companies are starting to think about aesthetics when it comes to heating devices. There are some concerns over the heating power of the unit, and it seems if you are trying to heat a LARGE space, this may not be the unit for you. Heat Storm, also make a WiFi dedicated wall heater, if you are looking for a more permanent fixture. When it comes to WiFi enabled tower heaters, there are very few to choose from in the present day. No doubt in the very near future there will become more options available. For now, the Crane Smart Tower heater is one of few options. The heater is controlled via Crane’s own proprietary app. 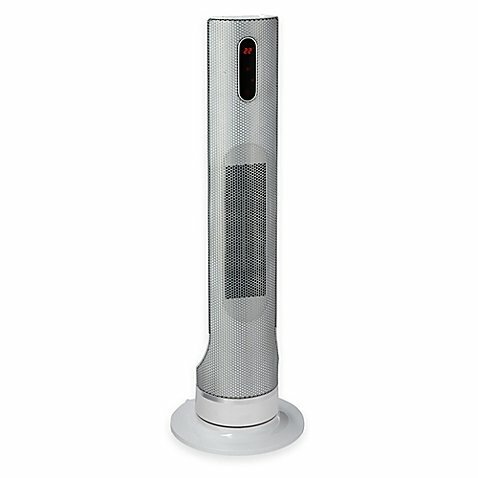 It is a ceramic heater with an upscale modern design and has 3 settings – fan, 750W and 1500W for your various heater needs. Other features included with the unit are a touch screen, child lock, and oscillation. Unfortunately, the app seems to need a bit of work given its low ratings. Another WiFi enabled heating option by Crane WiFi Heater. This unit is an Infrared heating device and a completely different style to the tower fan made by Crane. Featuring high and low settings, and adjustable thermostat, touch panel, and timer settings the infrared smart HEATER is also controlled by the same app as the tower fan above. A word of advice though, make sure you read through the reviews for the tower fan and Infrared heater as the ratings are not overwhelmingly good. 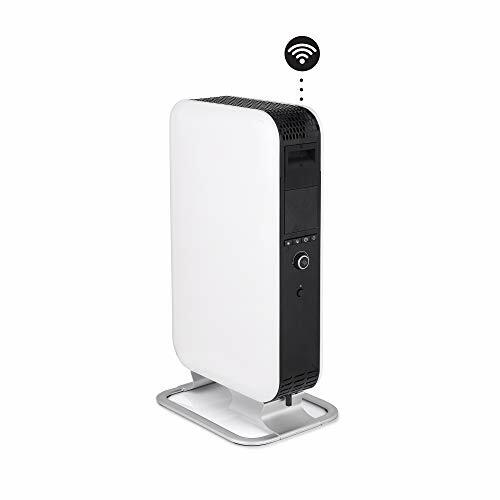 This Holmes WiFi heater is a popular brand that makes many household items such as tower fans, tower heaters and now Wifi enabled heaters. This particular heater can be controlled with the help of the WeMo app which can be downloaded for free from the Android and IOS store. We will get into what the WeMo app can do below, as Wemo have their own ‘smart plugs’ which can turn any device into a form of smart device. This particular heater comes equipped with a thermostat,pre-heat timer with an integrated clock. Dyson are well known for their quality products as well as their hefty price tag. This particular unit is no different. Although this is stated as a purifier it is also a heater and cooler in summer. Quite the bang – but also quite the bucks. To be fair it is packed with features and quality that you would expect for the price tag. It is certified asthma and allergy friend, it has been awarded the Quietmark accreditation, it features an automatic mode, sleep timer, has no blades and is therefore easy to clean. Best of all it works with Amazon Alexa along with Dyson’s propriety app software. It automatically monitors the air quality and provides real-time reports to the app. Heating and cooling can also be controlled afar with the app, all you need is WiFi! As far as smart space heaters go, this is probably the best WiFi space heater available. 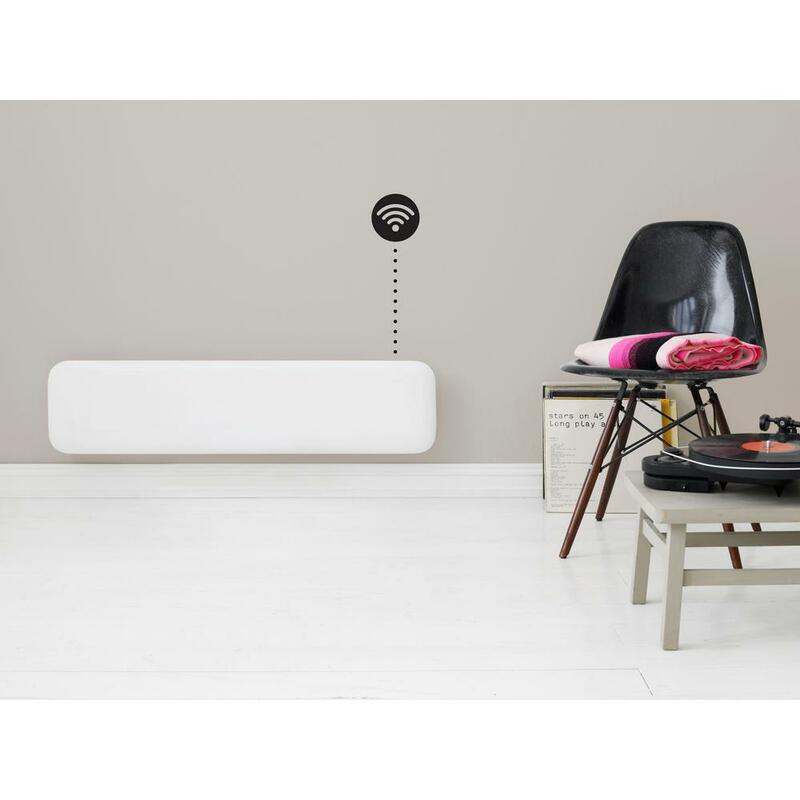 This stylish white flat panel heater is controlled via the Milheat App. It’s probably one of the more ‘decor friendly’ wifi heaters available and is barely noticeable in your home. It has a range of nice features such similar to that of a programmable thermostat, such as timer control, setting a heating schedule, a thermostat and temperature calibration. You can even control multiple heaters from the same app and program in different schedules for different rooms. Of course, all of this can be controlled from your smartphone, anywhere that there you have a connection. Find out more at Home Depot. Slowly Wifi heaters are getting better and this is a testament to that. 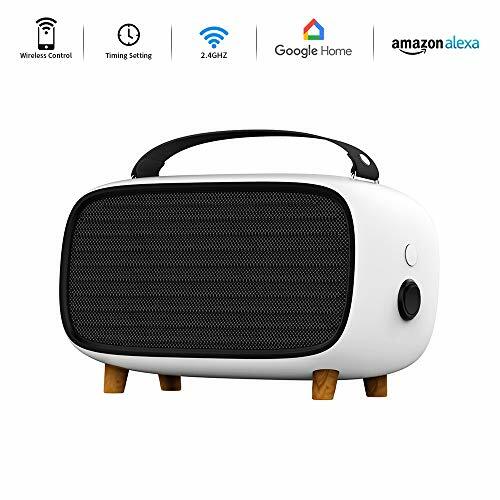 Though it is only small in stature, it does have some more ‘current’ features such as being an Alexa enabled wifi heater, which many of the other wifi options are not. This heater is not going to heat large rooms as it is about as big as an iron, but it is more for direct heating, such as on a tabletop where you might be residing. The Panamalar is portable, so great for moving around with you. It is a stylish looking little heater and would not be out of place in most home decor. Although it is quite a nifty device it is limited in what you can do. What you will be able to do is hook up any space heater or appliance and be able to schedule and control when the unit turns on and off. This is great for turning your heater on before you come home or off if you have forgotten to turn your heater off. Just plug and play and you are away laughing. Unfortunately, what you won’t be able to do is control any of the features on your space heater from afar. So temperature control, no speed control. If you don’t need that extra control then this might be a great device for you, however, if you need more flexibility and total control over your space heater, then it may not be the device for you. ..there actually happens to be a whole lot of choice when it comes to the smart plug option. If you are searching for smart plugs to use for your space heater, there are many brands to choose from. As well as checking reviews of the product itself we suggest checking the rating of the app in the app store as well. Being a WiFi device means that there can be as many problems with the software as there might be with the hardware. Both being equally as important. There are a number of the apps that control the units, that are really just not up to scratch so make sure you do your research.